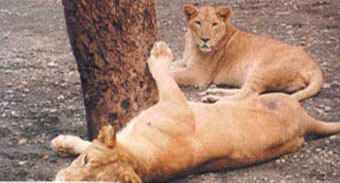 Just near the lake is Lion Safari where you can see animals in their natural habitat. This lake is worth watching in winters when hundreds of birds mostly from Central Asia and even Russia make this lake their winter home. 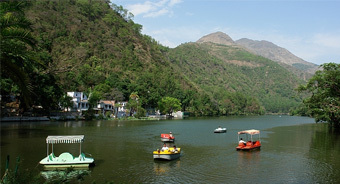 Paonta Sahib is a sacred place and a landmark of Himachal. It is just 52 kms. away from the resort. It is blessed with Sikh Gurudwara which is the main attraction and highly worshipped holy place by all the communities.This site is believed to have been the adobe of Guru Govind Singh for over four years. 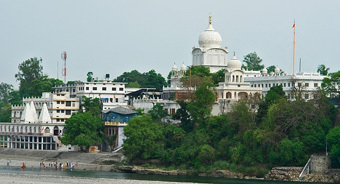 It is situated on the Yamuna river. It also has a museum that displays the pens of Guru Govind Singh and weapons of that time. It is at a distance of approximately 33 kms. from the resort. Suketi Fossil park is located on the banks of Markanda river. It is a site where actual fossils were found . 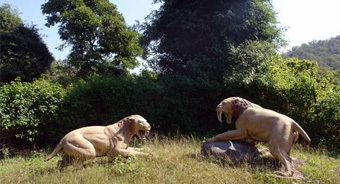 The park has a museum and life size models of animals and paintings relating to various aspects of plants and animals' life. It is at a distance of 23 kms. from Nahan. 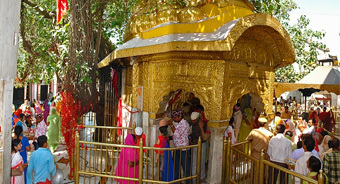 It is a temple of Mahamaya Bala Sundri and has a great religious importance not only in Himachal but also in Haryana and Punjab. 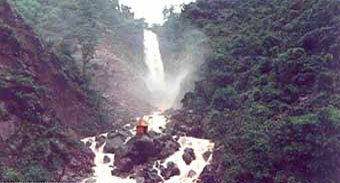 Devotees in large number visit this temple every year.